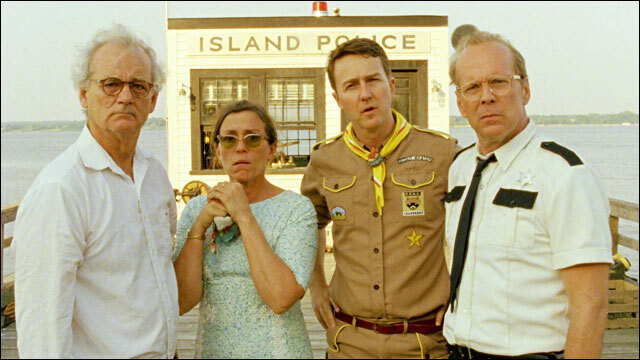 Wes Anderson’s “Moonrise Kingdom” took home the trophy for best feature at the 22nd annual Gotham Awards, held Monday at Cipriani Wall Street. Focus Features’ whimsical tale of young romance ranks as the second-highest grossing specialty release of the year. “Moonrise” beat out Paul Thomas Anderson’s “The Master” and “Bernie” and lower-profile titles “The Loneliest Planet” and “Middle of Nowhere” for the top prize. Kudos, administered by the Independent Film Project, are among th e earliest of awards season, timed to stir up attention for indie fare that might not otherwise receive major awards. “Your Sister’s Sister,” starring Emily Blunt, Rosemarie DeWitt and Mark Duplass, edged out higher profile fare for the ensemble performance award. Duplass noted that Blunt and DeWitt worked for $100 a day on Lynn Shelton’s IFC Films pic. Fox Searchlight’s “Beasts of the Southern Wild,” which had a large cheering section at the ceremony, was recognized by the Gothams as helmer Benh Zeitlin earned the breakthrough director trophy. Zeitlin also took the inaugural Bingham Ray Award, which comes with a $60,000 camera package. The breakthrough actor trophy went to Emayatzy Corinealdi for Participant Media’s “Middle of Nowhere.” Helmer David France’s “How to Survive a Plague,” about early AIDS activism, claimed prize for documentary feature. The audience award went to “Artifact,” the Jared Leto-directed docu about the making of last album by his band, 30 Seconds to Mars. He was on hand to accept the award, though he was introduced under the pseudonym he used on the pic, Bartholomew Cubbins. Mike Birbiglia, writer-director-star of IFC’s “Sleepwalk with Me” (and a nominee for breakthrough actor), hosted the ceremony that also included career tributes to director David O. Russell, thesps Matt Damon and Marion Cotillard and Participant Media founder Jeff Skoll. Skoll was introduced by Ava DuVernay, director of Participant-produced “Middle of Nowhere.” “I just think you’re pretty badass,” she gushed. “Silver Linings Playbook” thesps Jacki Weaver and Amy Adams were on hand to fete Russell. “Excelsior,” Russell said, in a nod to the pic, in accepting his award. Cotillard was feted by thesp and former co-star Billy Crudup. John Krasinksi delivered the tribute to Damon, starting by rattling off nonsense about the thesp from IMDB’s message board.